The rivalry kicked off 122 years ago when Cadet Dennis Mahan Michie accepted a “challenge” from the Naval Academy and the two squads faced off on The Plain at West Point on November 29, 1890 (Navy had been playing organized football since 1879, and came out on top of the newly-established Army squad). 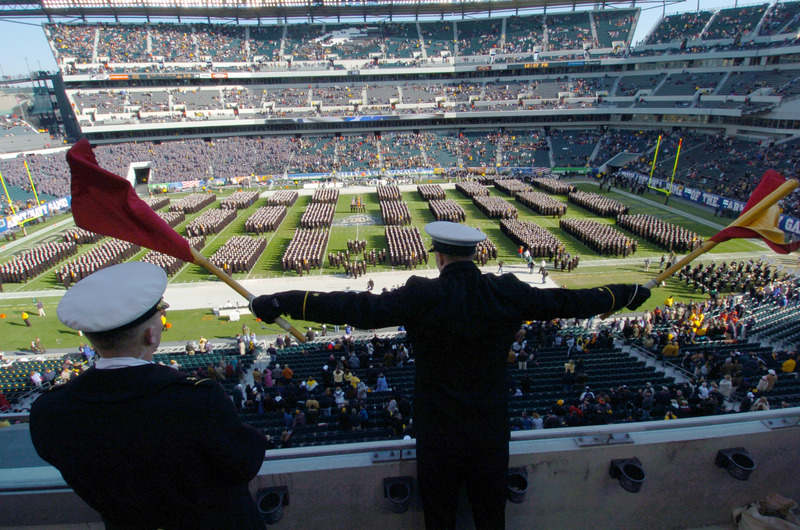 Ever since, through those many years of intense cheers, unforgettable plays and climactic moments, the Army-Navy rivalry has been etched into the minds of countless fans and followers. All it takes is a visit to West Point or Annapolis, where everything (from the finely manicured hedges to the chant following grace-before-meals) proclaims “Beat Navy” or “Beat Army,” to understand how deeply ingrained this rivalry actually is.